Happy Friday! It’s nearly the weekend! I hope you’ve had a good week and I hope you have the loveliest of weekends. 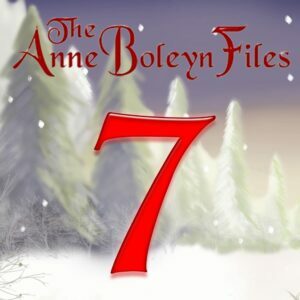 Here at the Anne Boleyn Files, we have another Tudor treat for you on our Anne Boleyn Files Advent Calendar, and this time it’s from my dear friend, James Peacock of the Anne Boleyn Society Facebook page – thank you, James! It’s not too late to enjoy the previous six treats either, they’re all there on the calendar still! All you have to do to enjoy our Tudor treats is to click on the number 7 picture here or scroll up to the cover image at the top of this website and click on the link. If you want even more Tudor treats – and who doesn’t?! 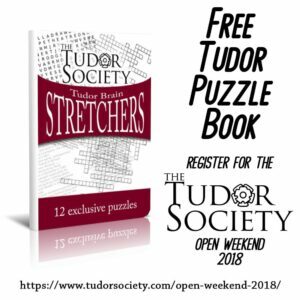 – you can have a three-day weekend of Tudor bliss over at the Tudor Society with its open weekend. Video talks, magazines, articles, a live chat, a virtual tour, resources… lots! Click here or on the banner below to register for free. I love seeing items that belonged to an historical figure. Be it with my own eyes or online or in a book these kinds of artifacts really bring that person to life. Some items can really inspire deep emotion. Seeing Anne’s book of hrs reminds me of her strong faith and six lives tragically cut short by false accusations. These aren’t just names we read about. These were real people. At the other end of this are the carved initials HA at Hampton court when there was such love and hope in Henry and Anne’s relationship. Thank you for sharing your experience at Hever. I have one word to describe these photos….Beautiful. Thank you for sharing. The Book of Hours is particularly lovely. When you think of the skill and time that artists and craftsmen put into making these beautiful and often personalized books it is amazing. The paints and pigments needed to be mixed from plants and oils, the vellum was expensive and the gold and silver leaf worth a fortune. Such a precious and tangible link to Anne must be very precious indeed.